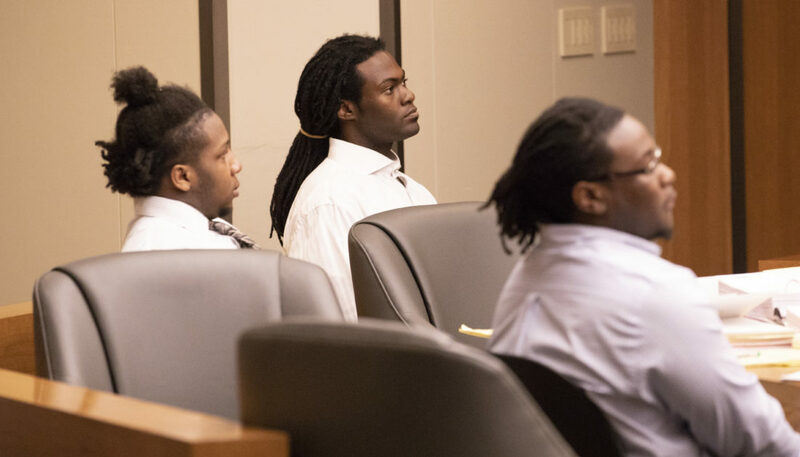 From left, defendants Shawn Smith, Ramone Singleton and Tyrone Carvin stay seated as their attorneys speak with Judge Sally Pokorny during the Lawrence Motel 6 murder trial, Monday, Aug. 20, 2018, in Douglas County District Court. All the shell casings — at least two dozen of them — left behind after the deadly shooting at Lawrence’s Motel 6 came from four guns, a firearms specialist testified Monday. None of those casings came from the two handguns linked to victims in the case, he said. Whatever guns they did come from were never recovered by police. 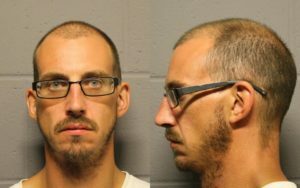 Tentatively the state’s last witness in the case, firearms forensic scientist Jim Stevens of the Kansas Bureau of Investigation testified Monday at the murder trial of three men charged in a shooting that killed one man and wounded two others about 11:30 p.m. Sept. 2, 2017, at Motel 6, 1130 N. Third St.
A group of nine men from Topeka and the Kansas City area had been partying in room 308 when gunfire erupted, killing 23-year-old Cameron Hooks, of Lenexa, and injuring two other men. Surviving victims have testified that four men who came together from Kansas City were the shooters, and one victim said that right before the shooting someone tried to rob him but didn’t ultimately take anything. Tyrone J. Carvin, 20, of Kansas City, Kan.; Ramone Singleton, 23, of Kansas City, Kan.; and Shawn K. Smith, 19, of Kansas City, Mo., are each charged with first-degree felony murder for allegedly killing Hooks during the commission or attempted commission of an armed robbery; aggravated battery; aggravated assault; and attempted armed robbery. Despite testimony about a fourth man, no other suspect has been publicly named or charged. Police found two semiautomatic pistols in the grass under the window of room 308, one black and one silver. Both are linked to shooting victims but no evidence has been presented that they were ever fired that night. Prosecutors said in opening arguments that they believe the black pistol belonged to shooting victim Laroyce Thomas. A forensic scientist from the KBI testified that the gun had Thomas’ DNA on it. Thomas himself, however, refused to testify at the Motel 6 trial so as not to incriminate himself in Johnson County, where he’s charged in two pending cases with being a felon in possession of a firearm and other violent crimes. Lawrence police and KBI witnesses said the black pistol was found with a full magazine plus one bullet in the chamber. The silver pistol belonged to shooting victim Dominck Frye, who testified last week that he had his gun that night but never used it, and that he didn’t carry it loaded. Frye said the four men from Kansas City jumped up suddenly and started firing without warning. He covered his head and prayed, and when the firing was over, he threw his gun out the window because the shooters ran off and he panicked about being implicated when police arrived. Police and KBI witnesses said Frye’s gun was found with some bullets in the magazine but none in the chamber. 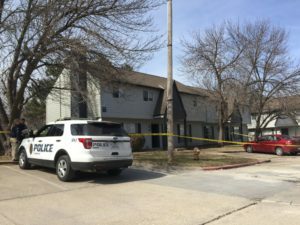 The KBI tested a third gun associated with the Motel 6 case, a revolver recovered from Singleton when he was arrested more than three weeks after the shootings. Stevens said none of the shell casings matched that gun, either. Stevens said he also tested numerous fired bullets or bullet fragments that were found at the crime scene. However, that testing was less conclusive than the shell casings; some he was able to rule out as coming from any of the guns collected by police in the case, but others he was not. Thomas appeared to have been shot multiple times, according to testimony from first responders. Frye was shot four times; Hooks was shot five times. The bullets that hit Hooks all came from the same general direction, striking his left side, thigh and forearm, former Douglas County coroner Erik Mitchell testified on Monday. Each bullet passed through Hooks’ body, though, leaving no fragments for Mitchell to retrieve. According to previous testimony from Lawrence police investigators, all the shots were fired from north to south — or from the hallway side of the room toward the window — based on an analysis of bullet holes in the wall. That’s the side of the room from which the four men from Kansas City were shooting before they ran out the door, victims have testified. Mitchell said that one particular gunshot was the fatal one for Hooks: It entered his lower left back and exited his upper right chest, hitting a major heart vein and other organs on the way. Toxicology tests indicated Hooks had some marijuana and a low concentration of oxycodone in his system but no alcohol, Mitchell said. Defense attorneys questioned whether Hooks’ hands were tested for gunshot residue, to see if he had fired a gun himself, and Mitchell said no. Gunshot residue testing, in certain situations, is “an enormous waste of money,” Mitchell said. The Motel 6 case — where many gunshots were fired in a small space and it’s not disputed who was in the room — is such a situation, Mitchell said. • Lawrence Police Department Detective Kimberlee Nicholson showed photos of the defendants at a picnic earlier the day of the shootings. Surveillance images show people in similar clothing and hairstyles running from the scene and showing up at the University of Kansas hospital in Kansas City, Kan., where Carvin went for treatment of a gunshot wound to his shoulder within hours of the shootings. Carvin also is pictured wearing a Rolex watch similar to one police found lying in the grass, broken, outside the hotel after the shootings. A KBI forensic scientist testified that Carvin’s DNA was found on the watch. 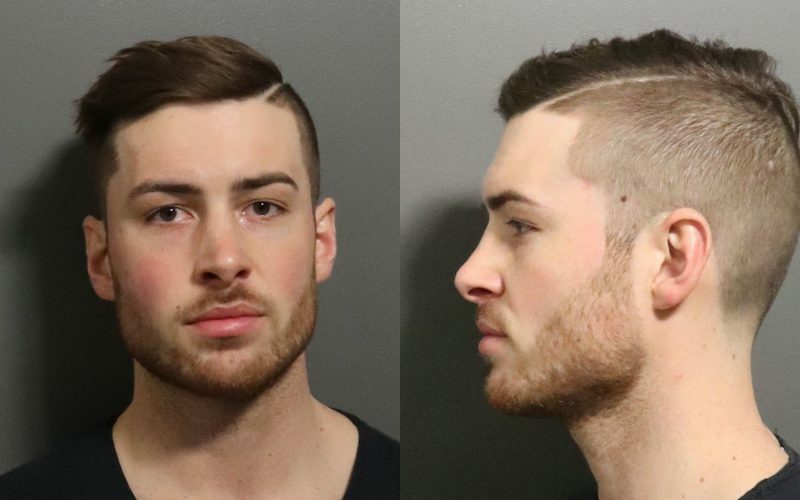 • Detective Scott Slifer testified that cellphone records showed the defendants making calls from the Kansas City area a few hours before the Motel 6 shootings. He said that shortly after the shootings their phones were active and associated with cell towers along Highway 24/40 moving back toward the Kansas City area. Slifer said that within a day or two of the shootings, all three defendants’ cellphone activity completely ceased. • Nicholson also discussed law enforcement efforts, in tandem with the U.S. Marshals, to locate and arrest the three defendants following the incident. The defendants remain in custody, each on $1 million bond. Carvin is represented by appointed attorney Michael Clarke, Singleton by appointed attorney Forrest Lowry and Smith by attorney Gary Long. The trial started with two full days of jury selection and was scheduled to last through Friday in Judge Sally Pokorny’s courtroom; however, it may conclude early. Prosecutors C.J. Rieg and Mark Simpson said Monday that they did not expect to call more witnesses and would probably formally rest their case when the jury returned Tuesday morning.